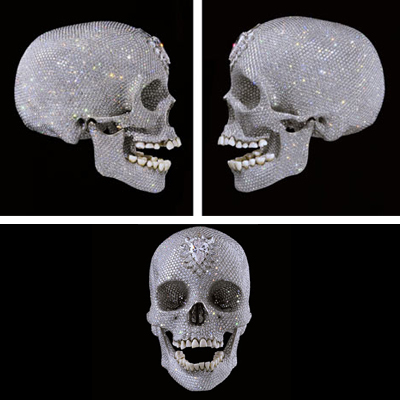 Propped behind reinforced glass in a darkened room in the White Cube gallery in East London, the Damien Hirst skull is covered with 8,601 flawless diamonds – three times the number on the crown the Queen wears on state occasions. The skull is a platinum replica of a human skull bought by Hirst two years ago in a London taxidermy shop. So does covering it with diamonds make it art? Rumours have it that Hirst came up with the idea and a team of technicians implemented it!